Korean stunner Ji Hye Park was unstoppable during her international debut season, cutting a lethal figure across 28 show bookings which included Alexander Wang, Louis Vuitton, Dolce & Gabbana, Alexander McQueen and Chloé. With her imposing 179 cm runway perfect proportions, razor sharp cheek bones, and perfectly crescent shaped eyes, Ji Hye is the very embodiment of the aspirational beauty that defined casting trends for the Spring/Summer 2013 season. 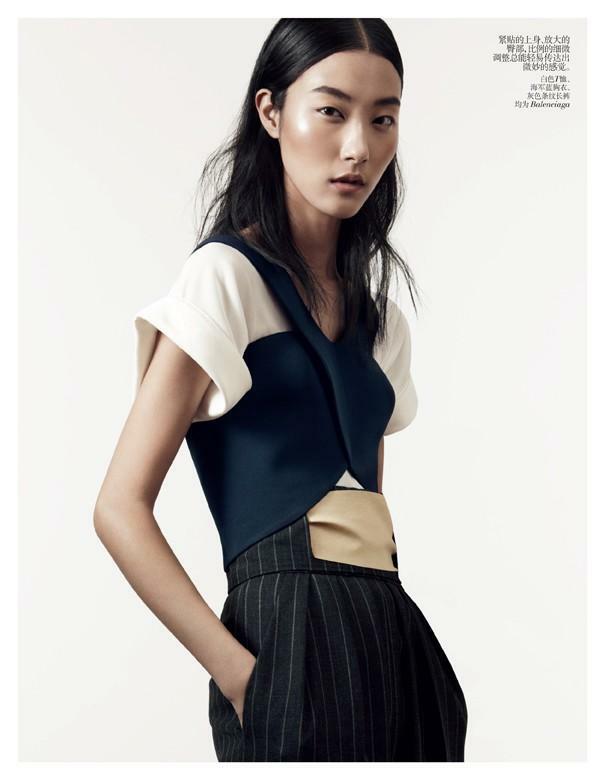 Ji Hye represents a truly modern ideal of beauty which is global, fearless and without boundaries. 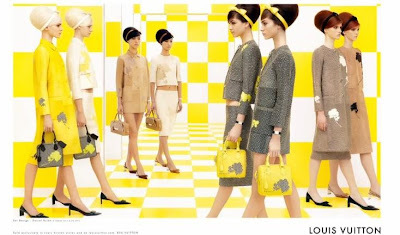 The fashion industry appears to have reached the same consensus with Ji Hye being cast in two high profile Spring/Summer 2013 campaigns for Louis Vuitton and Diesel shot respectively by Steven Meisel and Sharif Hamza. As magnificent as she is in appearance, it is Ji Hye's life attitude, astute observations, and personality which make her a definitive star on the horizon. Inoubliable Model Army chatted exclusively with Ji Hye about modelling's changing landscape, her love of Alexander Wang, and the importance of enjoying life. Inoubliable Model Army: Hi Ji Hye, thanks for shooting the breeze with Inoubliable Model Army! You've certainly had a busy few months since emerging as one of the standout newcomers of the Spring/Summer 2013 season. Are you pleased with how things went last season and are you able to single out any highlights of the season? JHP: Last season was my debut abroad, and it was my happiest because I received positive feedback and grew as a model internationally. 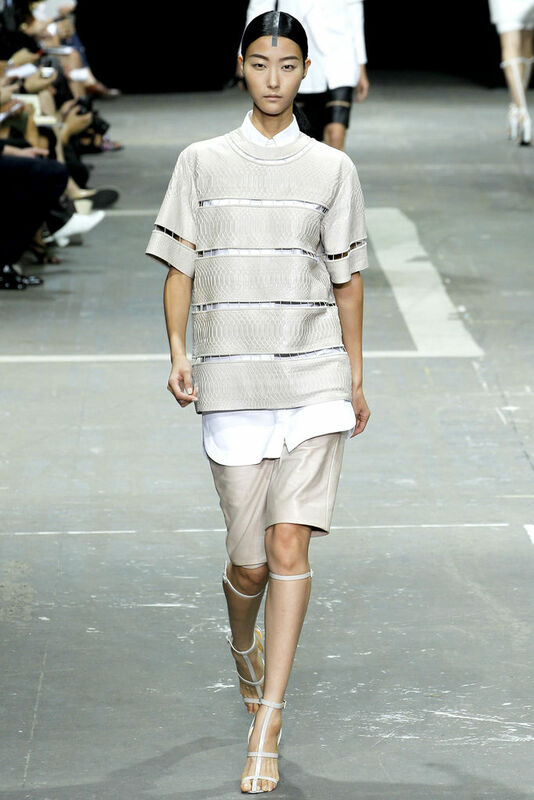 I arrived in New York, two weeks before fashion week and exactly ten days alter I was walking for Alexander Wang! This was an unforgettable event in my life because Alexander Wang is my favourite designer. Inoubliable Model Army: Next up are the Fall/Winter 2013 collections, are you looking forward to the month long fashion frenzy and what do you hope to achieve this season? JHP: Of course, fashion week is very busy and crazy, but I enjoy everything about modelling. I hope to experience and work as much as possible this season! Inoubliable Model Army: The modelling landscape has changed considerably in the past few years with many Asian models being embraced by the fashion industry. Why do you think Asian girls particularly from Korea and China are making such strides in modelling at the moment? JHP: Over the years, Asian countries and the people there have developed a lot of interest in fashion. Investment in counties such as China is growing rapidly everyday and I think the rest of the world has taken note. I think Asian models working in global markets today are very lucky to ride this wave of interest in Asia as a new and important part of the fashion industry. Inoubliable Model Army: How old are you, how were you discovered, and tell us a little bit about where you are from in Korea? JHP: I am 24 years old and was born in a small city called Dae-Jeon. I wanted to become a model so I left for Seoul (capital and major city in Korea) and walked into a modelling agency. After attending a modelling academy for a couple of years, I began working as a professional model in Korea. Actually, my story isn't that special, but at the time it was a big challenge for me to have the courage to leave my family and friends in my hometown to pursue my dream. Inoubliable Model Army: Is modelling very popular in Korea and did you feel beautiful in your culture growing up? JHP: These days in Korea, models are inventing themselves more than just as fashion models by taking on different roles within the entertainment industry, which has created more buzz and interest in models. When I was young, I did not like that I was tall, but now I think of it as an asset... without it I couldn't do what I'm doing today! Inoubliable Model Army: Casting directors spoke last season of an aspirational type of beauty to describe the new wave of models taking over the runways. What is your definition of an apsirational beauty and how does this relate to you? JHP: I think a person looks the most beautiful when he/she is confident within themselves. Right now I am ready for anything, thus I see myself as beautiful ;-). Inoubliable Model Army: A super congrats on shooting with Steven Meisel for the Spring/Summer 2013 Louis Vuitton campaign! How did it feel to be working with one of the industry's most elusive and influential figures and did you pick up any new modelling insights from this experience? JHP: When I heard the news about shooting with Steven, I literally screamed out in excitement. Steven is a very famous photographer and even the idea of meeting him in person made me ecstatic. When I first started modelling, I never imagined I would have an opportunity like this. Steven's photos are creative, dramatic and he is an inspiration to all. 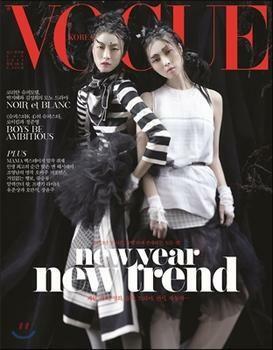 Inoubliable Model Army: You've appeared recently in editorials for the Italian, Korean and Chinese versions of Vogue. Do you enjoy print work and how do you get into character for an editorial brief/story? JHP: Photo shoots are really fun because I can transform into a different character. Like actors, models have to get into a role during a shoot. At first, I thought it was challenging, but it's now a lot easier and more fun to be involved in this creative process. Inoubliable Model Army: There is also a more prevalent trend of models in their twenties breaking through to the elite level of modelling as you have done. Do you feel that being a little older serves to your advantage in being able to deal with the pressures of modelling, and what are your thoughts on the CFDA's ban on models under the age of 16 on fashion's runways? JHP: As you age, you mature in sophistication and can find out what your interests and strengths are. So I think models who are older can handle themselves with patience and grace. Hiring younger models can be controversial, but there are some occasions when the spirit of youth is needed for a certain character or job. I also think that if a girl wants to be a model and is ready, she should be given the same opportunity and chance as anyone else regardless of age. Inoubliable Model Army: You are often featured on style blogs, how would you describe your street style and which designers are you obsessed with at the moment? JHP: My street style is easy-chic and mix-matched with modern and vintage. But I don't like to limit myself to just one style. Sometimes I like feminine, at other times boyish, chic or vintage. My favourite designers are Alexander Wang and Isabel Marant, their attitude and style works well with mine. Inoubliable Model Army: What do you love most about modelling and if there was one aspect of the industry that you could change, what would it be? JHP: I love that I can travel around the world through work. Long flights can be exhausting but I don't mind so much. Well, I am happy with modelling and don't have anything that I'd really want to change right now. I still have so much to see and experience, as last season was my first! Inoubliable Model Army: One of the most enjoyable aspects of show season is meeting up with old friends and getting acquainted with new ones. Who are your closest model buddies and how important are those friendships for getting through the ups & downs of modelling? JHP: I love running into other international Korean models like Soo Joo, Sung Hee Kim, So Young and Hye Jung at castings ad shows all around the world. Good conversations and stories together make me happy, and I think having a strong network of friends you love is essential to a model. JHP: Maybe my friends would be better at answering this, but I think they would say it is because I am able to enjoy life and be positive no matter what stress is going on. I think this gives off a good energy to those around me. Actually my motto is simple - "ENJOY! ", so I think (or rather hope!) people are able to feel that when they meet me. I also don't feel much fear in life. I am sure of my goals so I even look forward to big challenges that come in the way. For example, when I heard that I had the chance to come to New York to be model, I just bought my ticket and arranged my own hotel right away. I was so excited to get started!